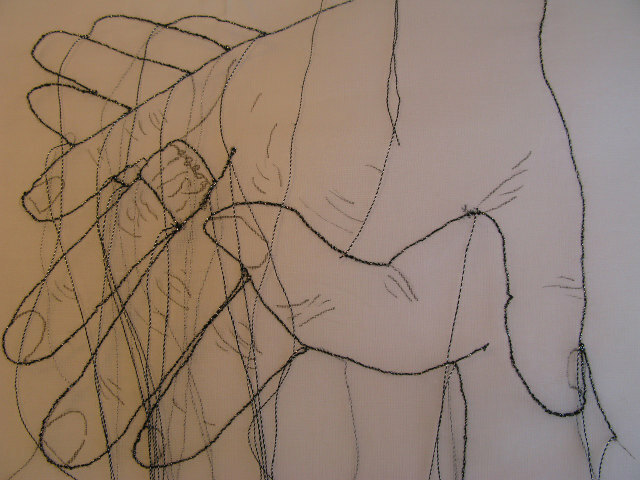 I discovered Susi Bancroft’s distinct blend of sketch and sew at the RWA’s exhibition Drawn (on until 7th June 2015). The energy in her ‘Handwashing in Hospital’ triptych intrigued me enough to contact her to find out more about her artistic endeavours. 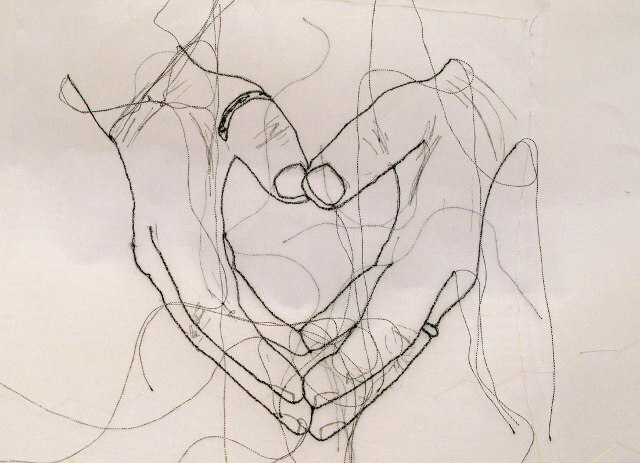 It’s a poignant idea, and one that captured Susi’s attention strongly enough to make her develop her skills further through “a mix of practical hours of stitching and drawing.” She has a background in both academic research and practical skills work such as a City and Guilds Diploma, and has worked in education and research as well as being a practising artist. The connections she mentions are a driving force, as she seeks to link past and present aspects of her family both with metaphorical and literal threads. 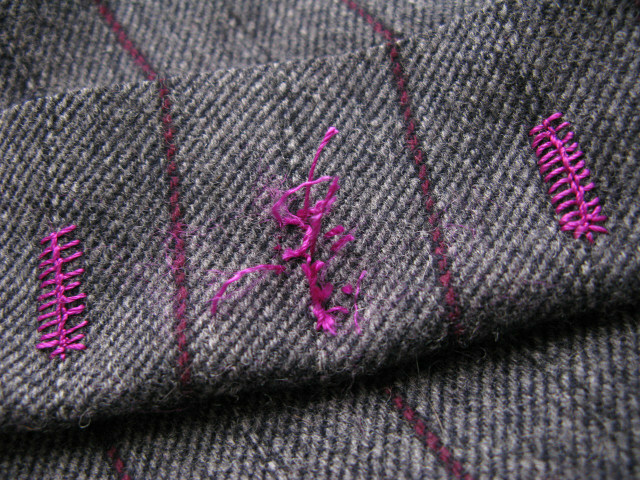 The name of the piece, No More Twist, comes from the detail in the story that one buttonhole remains unfinished by the mice until the tailor’s cat reveals the ‘twist’ (presumably thread) that he has naughtily hidden, an apt line to marry Susi’s textile art to the tale! 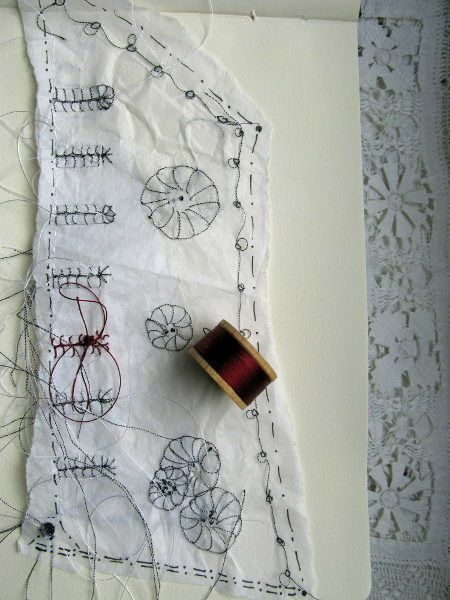 Find more of Susi’s work at her boostitch blog and on the Brunel Broderers website. Their next Exhibition is at Nature in Art near Gloucester in August 2015. 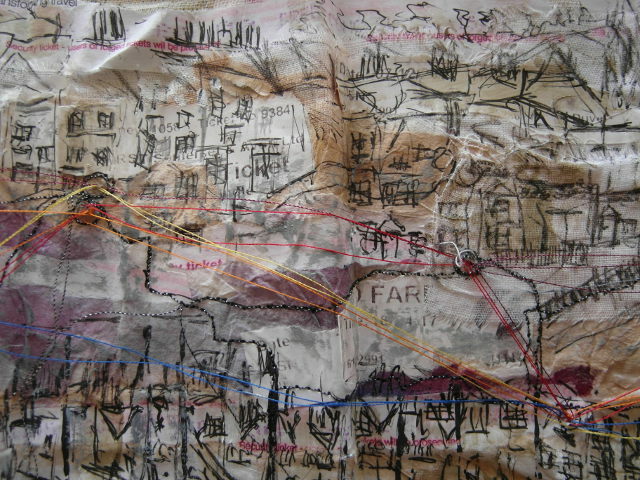 This entry was posted in Inspiration and tagged art, Susi Bancroft, textile art by Judy. Bookmark the permalink.